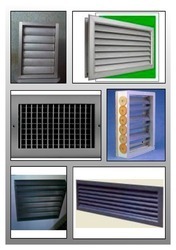 Our range of products include fresh air louver, aluminum louvers and exhaust louver. With a precise understanding of the relevant industry, we introduce ourselves as the leading manufacturer and supplier of Fresh Air Louver. The offered louver is best for heat ventilation and air-conditioning systems with proportional controls. Our louver is manufactured by using high rank basic material and newest technology in observance with international parameters. We are giving this louver in diverse specifications in order to meet customer’s needs. Being a well-established-organization, we are engaged in manufacturing and supplying a distinguished range of Aluminum Louvers. This aluminum louver is manufactured from quality proven raw material & leading technology in accordance with the set norms. As well, our clientele can avail this aluminum louver in several stipulations as per with their demand. 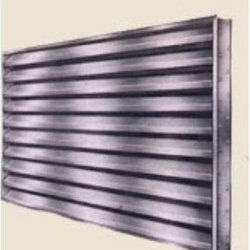 Offered aluminum louver is well known among patrons due to its best finishing & optimum quality. With the support of our experts and sophisticated in-house facilities, we have been able to offer an array of Exhaust Louver. Our workforce uses the latest techniques and excellent quality material for manufacturing this exhaust louver. In addition, the whole range of exhaust louver is inspected on well-defined parameters, in order to provide flawless range at customer’s end. 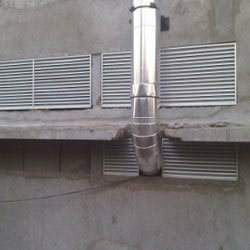 This exhaust louver is suitable for providing airflow in all directions. Looking for Aluminium Louver ?